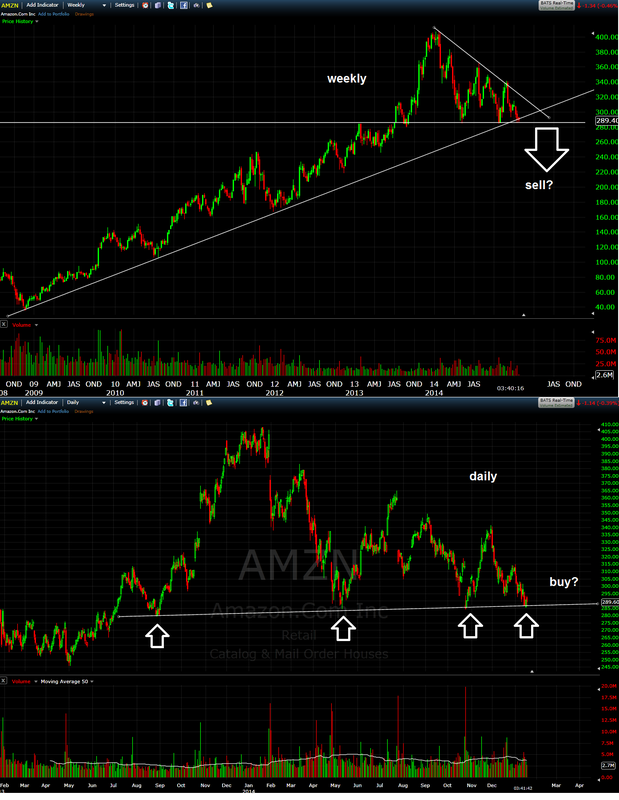 20 January 2014 – Where’s AMZN (Amazon) heading? The stock price of Amazon caught my eye. Up or down? Well, the long-term trend is unquestionably to the upside, but over the last several months price has hit successively lower highs, and there must be an awful lot of stop-orders ready to be triggered below 280.